In a nutshell: The Shopify eCommerce solution works for a range of business sizes offering flexible pricing. The platform supports unlimited products, inventory, and file storage as well as the ability to offer gift cards and discount codes to customers. Their excellent online resources help store managers with guides, videos, podcasts, success stories, forums, and expert advice. Shopify eCommerce offers a comprehensive platform to build and grow your online store complete with features like an online shopping cart, shipping, unlimited products and inventory, and sales tracking. As a well-established brand, you can expect high-quality service available around the clock across multiple channels including by phone, live chat, email, and social media. Shopify also helps customers make the most out of their online store by providing comprehensive online resources like guides, videos, podcasts, success stories, forums, and expert advice. Even the most basic Shopify plan comes with at least 2 staff accounts, unlimited products, unlimited file storage, retail packaging, fraud analysis, manual order creation, discount codes, and a free SSL certificate. If you upgrade beyond the Basic Shopify Plan, you can get additional features such as gift cards, professional reports, abandoned cart recovery, advanced report builder, and real-time carrier shipping. Shopify eCommerce does not charge extra for using Shopify payments which include Visa, MasterCard, American Express, and Discover credit cards on the go, or in your retail store. When using external gateways, Shopify charges 2% for the Basic Plan, 1% for the Shopify Plan, and 0.5% for the Advanced Shopify Plan. Shopify charges fees for credit card charges. Rates vary depending on the plan you purchase. The Basic Shopify Plan charges a 2.9% fee + $0.30 for online purchases and 2.7% for in person charges. The Shopify Plan charges 2.6% + $0.30 for online charges and 2.7% for in person charges. The Advanced Shopify Plan charges 2.4% + $0.30 for online credit card charges and 2.4% for in person charges. Shopify eCommerce has three pricing options. The Basic Shopify costs $29 per month and comes with all of the basics needed for starting a new business. The Shopify Plan costs $79 per month and makes the most sense for a growing business. Meanwhile, The Advanced Shopify Plan costs $299 and comes with advanced features for scaling your business. All plans come with a 14 day trial so you can try out your plan before purchasing. For $9.99 per month, you can also purchase the Shopify Lite Plan which offers social media sales. 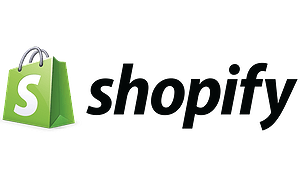 Shopify has a tremendous online resource center that includes all customers need to make the most out of your online store. You can learn about features and how to build your online store with guides, videos, podcasts, success stories, and forums. Shopify also offers expert advice, an app store, a theme store, hardware store, and free tools. To speak directly with a staff member, you can get in touch with support 24/7 through email, chat, and by phone. Shopify also hosts social media pages on Facebook, Twitter, YouTube, Instagram, LinkedIn, Pinterest, Google+, and Snapchat. With flexible pricing and excellent online support, the Shopify eCommerce platform has all you need to grow and manage your online store.